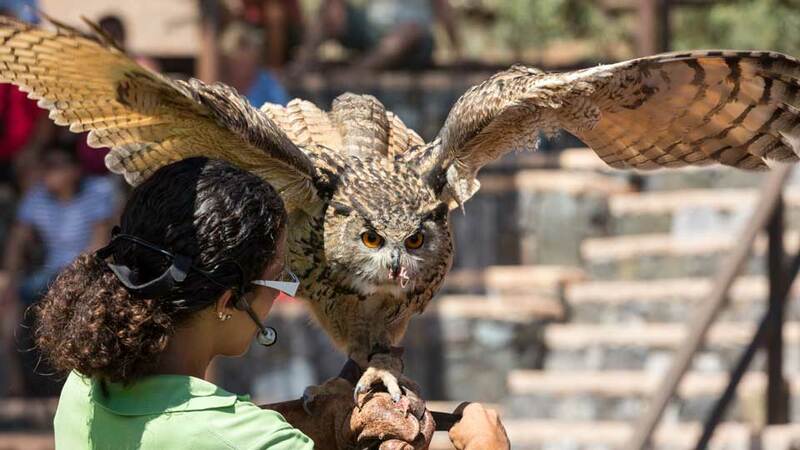 Oasis Park is the one and only zoological and botanical garden in Fuerteventura. One of the Canaries biggest amusement parks, the recreation area is home to more than 3,000 creatures of roughly 250 species. The large tropical garden that surrounds the whole facility recreates the natural habitat of its fauna. This awe-inspiring park offers many attractions for its visitors. From well-manicured flowerbed of tropical plants to interactive elephant shows, Oasis Park provides fun and excitement for all ages. Aside from entertainment, the philosophy that prevails in the park is animal welfare. The vast spaces aim to let the animals live in semi-freedom. They also work together with other institutions for the conservation of endangered species. With its world-class facilities, this family-friendly attraction in Fuerteventura should not be missed. Oasis Park is located in the municipality of Pajara, in the south of Fuerteventura. The splendid view of the Atlantic Ocean and Fuerteventura’s ever changing landscape await visitors on their way to the park. These scenes never fail to amaze even those who have been on the island many times. As such, the journey to get to the park is already a reward in itself. The park is an hour away from the airport by car. For visitors who are taking a car to get to the park, the easiest route would be on FV-2 motorway. There are also alternative ways such as FV-413 or FV-20, but these may take a bit longer. Visitors driving on their own may also use this coordinate: 28°11’12” N 14°09’30” W.
Oasis Park has a fleet of free coaches that collects visitors from major hotels on the island. These are hotels from Jandia, Corralejo, Caleta de Fuste, Tarajalejo, Costa Calma, Esquinzo, and Las Playitas. Visiting Oasis Park is like exploring many parts of the Earth in one place. The most exotic regions are recreated here to enhance the way of living of its beloved residents. In return, the animals showcase their talents through the park attractions and shows. Interactive experiences that are both entertaining and educational await visitors at Oasis Park. Have a chance to get up close and personal with the adorable sea lions of Oasis Park. 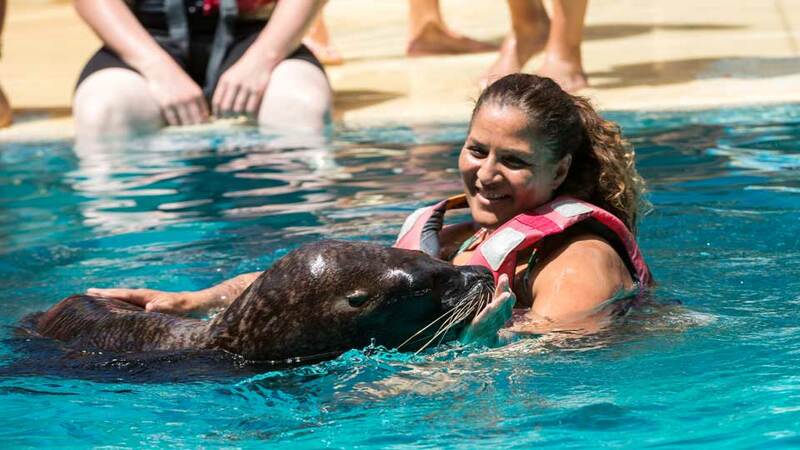 At the exceptional Sea Lion Experience, visitors will have the rare opportunity to touch these animals while they swim and glide in the water. These sea creatures tend to be too playful, and at times, leave visitors baffled with a kiss on the cheek. No worries. That’s their way of showing their love and appreciation to their audiences. On the other hand, Sea Lion Live showcases the skills and talents of these giant stars. Splendor and admiration overwhelm the viewers seated just a few meters from the pool. Be treated to a circus-like show, complete with rings and balls, and sea lions dancing to the rhythm of the music. These lemurs from Madagascar never fail to intrigue visitors with their bright eyes and intense stares. The facility is designed in a way that the primates may live with their families and interact with the visitors in semi-freedom. The lemurs try to communicate with guests by sound, sight, and smell. At times, they even touch the hands of their guests out of curiosity. Feel like stepping into a dessert wonderland at Safari Experience. Here, visitors can ride on the back of camels and set out on an adventure like no other. In groups, they ride in and around the zoo, experiencing the ever-changing land and seascape of Fuerteventura. The camels here were brought to the Canary Islands from Africa thousands of years ago. At present, Oasis Park now harbors the largest camel reserve in Europe. A fascinating show in Oasis Park takes place out in the open. At Birds of Prey Live, hawks, vultures, and eagles showcase their intelligence and agility through a series of aerial exercises. These birds bring a further artistic touch to the show with their skills, elegance, and palette of flashing colors. Whether on the ground or in full flight, these elusive beings never disappoint as the park’s jewel on the crown. This show is, without a doubt, the most colorful of all the experiences and attractions in Oasis Park. Have a fun opportunity to be imitated by parrots, the affectionate and intelligent stars of the show. The show is entertaining at its best, with lots of engaging performances. All those interactive experiences and excitement will surely leave park guests starving. It is a good thing that Oasis Park features three unique restaurants to cater to their gastronomic needs. These restaurants offer everything from typical Canarian dishes to homemade desserts. Named after one of the stars of the park, Sea Lion Restaurant offers delicious local cuisines. Have some relaxing time and sample different dishes of meat, fish, seafood, and salad. For those who want just to grab something quick and continue with their adventure, then they may order pizzas or sandwiches. Sitting in the midst of the African savannah, the Sea Lion Restaurant offers delightful views and a children’s playground. Guests looking for the freshest salads in the park may come and visit Oasis Restaurant. Made straight out of the vegetable garden produce, the salads here are crisp and tasty. The restaurant, open from 9 am to 6 pm, serves customers from breakfast to lunch. The large windows, which are almost as high as the ceiling, offers a fantastic view of the flora outside. This rustic restaurant offers traditional Canarian dishes and splendid views over thousands of specimens in the Botanical Garden. At the outdoor terrace, visitors can savor the taste of their meals all the while enjoying the serene atmosphere nature brings. El Patio Majorero Restaurant offers delicious homemade desserts and a menu made especially for the kids. Zoo entrance ticket price ranges from 8,50 to 33,00 Euros depending on guests’ residency and age. The Special experiences such as Camel Safari, Lemurs Interaction, and Sea Lion Interaction are available at an additional fee. For the latest pricing and schedule, please visit Oasis Park’s official website. Oasis Park Fuerteventura is unique on the Canary Islands. 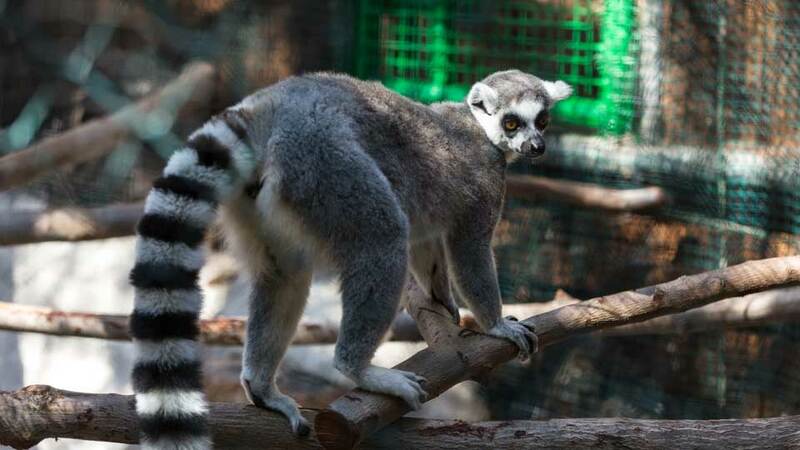 Among all the zoos in the neighboring islands, this is the only one that houses African elephants and allows close interaction with adorable lemurs. Walking around, it’s evident how the zoo management and staff truly care for the animals. A great example is how they have integrated a botanical garden with an animal park, when in fact, they can just let the creatures live in cages. The space they have dedicated for the animals to roam around freely is also praiseworthy. Indeed, they stayed true to their goal of wildlife conservation and did not just bring the animals here for a show. The love and care going around the zoo, human to animals and vice versa, is what sets Oasis Park apart from the others.